Start and end in Las Vegas! With the adventure tour Utah Parks Circuit, you have a 8 day tour package taking you through Las Vegas, USA and 5 other destinations in USA. Utah Parks Circuit is a small group tour that includes accommodation in a hotel, hostel and campsites as well as an expert guide, meals, transport and more. The tour ends upon the group's arrival at the Alexis Park Hotel in Las Vegas. The arrival time will depend on external influences, and if you wish to fly out tonight we advise not booking flights before 8 pm. Post-accommodation can be booked at the finishing point hotel subject to availability. Please contact our Travel Experts to arrange this. If you wish to book pre-accommodation at the joining point then please contact our travel experts to arrange this. There's no shortage of amazing sights in Las Vegas! Airport transfers are not included in the tour cost, however, the joining point is very close to the airport (5 mins drive) and transport is easily available. There are shared-ride shuttle services available for approximately US$9-12 (plus tip) per person, and a taxi ride will cost approx US$20. TourRadar only requires a deposit of $99 to confirm this Intrepid Travel booking. The remaining balance is then payable 60 days prior to the departure date. For any tour departing before 19 June 2019 the full payment of $1,279 is necessary. No additional cancellation fees! 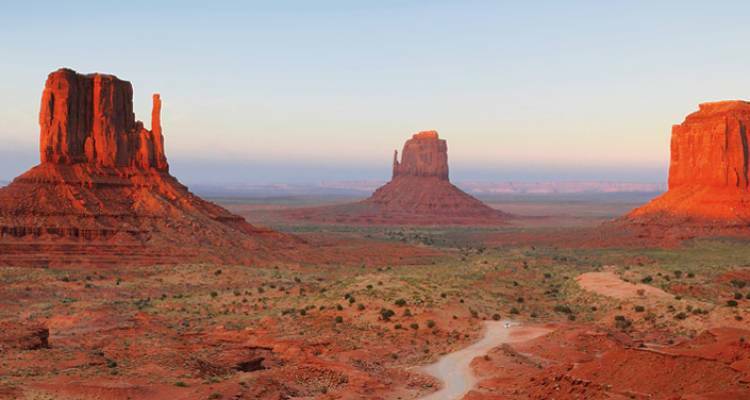 You can cancel the tour up to 60 days prior to the departure date and you will not need to pay the full amount of $1279 for Utah Parks Circuit, but the deposit of $99 is non-refundable. Covering a total distance of approx 1,219 km.